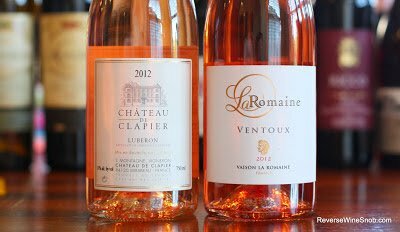 The 2012 Cave la Romaine Cotes du Ventoux Rosé Tradition and the 2012 Chateau de Clapier Rosé. Pairing wine with Thanksgiving dinner and other holiday meals can be tricky stuff but today we have your secret weapon: Rosé. Your next question will of course be, which ones? We’ve covered lots of delicious rosé here at the site and today we have two more tasty ones that even come with a special discount from the importer! First up is the 2012 Cave la Romaine Cotes du Ventoux Rosé Tradition, a blend of 85% Grenache and 15% Cinsault from Cotes du Ventoux, Rhone, France. Normally priced at $10 and available for 10% off to Reverse Wine Snob readers for a limited time (see below). Sample submitted for review. 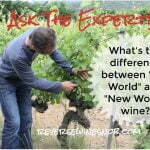 Imported by first vine. Drink now or hold up to 2 years. Serve with fish and seafood, salads, poultry, Thanksgiving foods. The 2012 Cave la Romaine Cotes du Ventoux Rosé Tradition begins with pleasant aromas of citrus, bright and spicy mixed berry and a few floral notes. Tasting reveals a light and tasty wine with a nice viscous texture. There’s also a bit of almost spicy minerality flowing underneath that plays well with the fruit. It even has some pleasant soft tannins on the long finish. Quite nice! 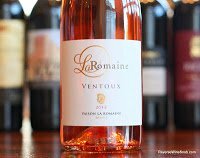 Use code RWS2013 to get an extra 10% off the Cave la Romaine Cotes du Ventoux Rosé (and all other still wines) at first vine! (Discount is in addition to the normal volume discounts.) Expires January 1, 2014. Next up is the 2012 Chateau de Clapier Rosé, a blend of 50%Cinsault, 35% Grenache, 10% Pinot Noir and 5% Syrah from Cotes du Luberon, Rhone, France. 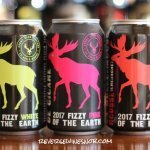 Normally priced at $13 and available for 10% off to Reverse Wine Snob readers for a limited time (see below). Sample submitted for review. Imported by first vine. Serve with salads, seafood, spicy food, Thanksgiving dinner. The 2012 Chateau de Clapier Rosé begins with a fantastic aroma of strawberry, citrus, watermelon, a few floral notes and even a touch of sea salt. The wine tastes round and almost full in the mouth — this one has a bit more substantial mouthfeel than your standard rosé and I like it. 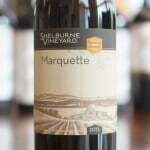 When tasting you’ll find similar flavors to the nose with nice acidity. It ends with surprising length. This is an easy to drink and delicious wine that has a very high quaffability factor. Highly recommended! Use code RWS2013 to get an extra 10% off the Chateau de Clapier Rosé (and all other still wines) at first vine! (Discount is in addition to the normal volume discounts.) Expires January 1, 2014. << Fonseca Bin 27 Porto Artist Series – The Best Value In Port?